What a great day for a boat ride. 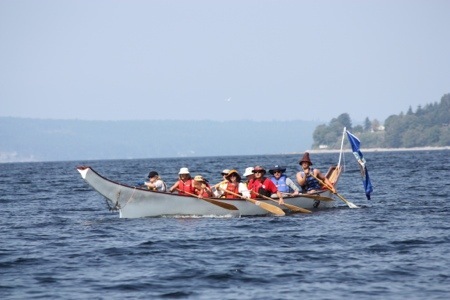 A friend was participating in this year’s Pulling Together canoe journey. 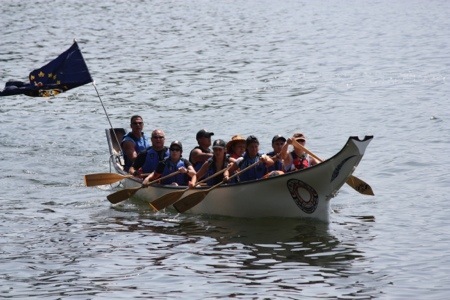 The canoe journey is an annual event and was conceived to build relations between the RCMP and Aboriginal Youth. 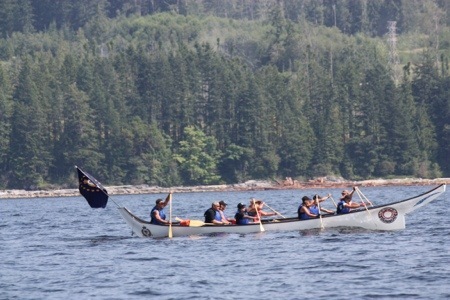 It now involves aboriginal youth as well as participants from various police departments as well as other enforcement and public service agencies. 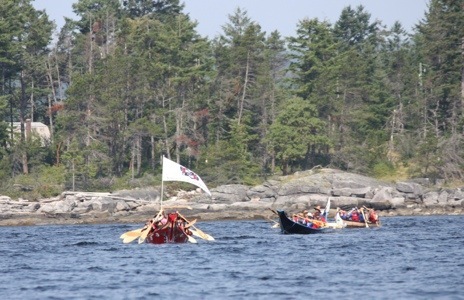 The one week journey provides an opportunity to grow and learn as they paddle, sing, drum, eat, and engage in protocol. 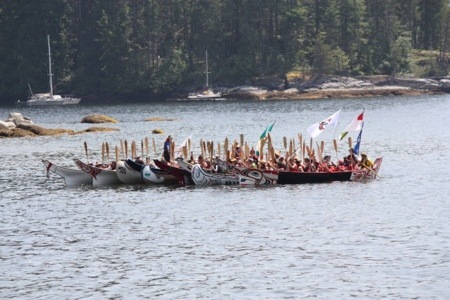 This years journey was hosted by the Sliammon nation (between Powell River and Lund). Travel was around the Malaspina Peninsula. 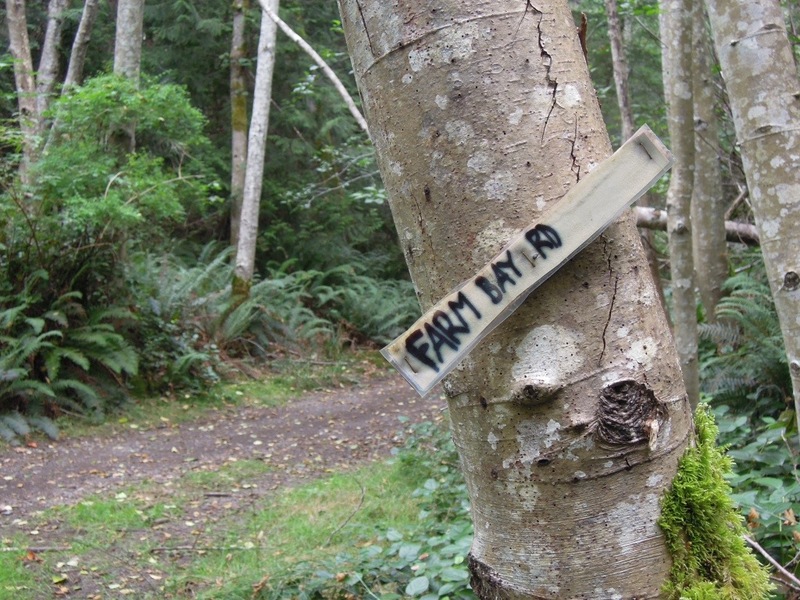 The last leg, from Stillwater to Saltery Bay is about 20 miles up the Strait from Secret Cove. We hopped in the boat and went for a look. 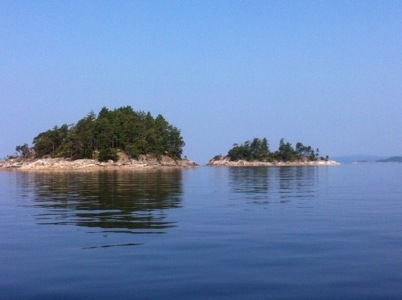 These four islands are all accessible at low tide by land due to their close proximity to the shoreline of Secret Cove. 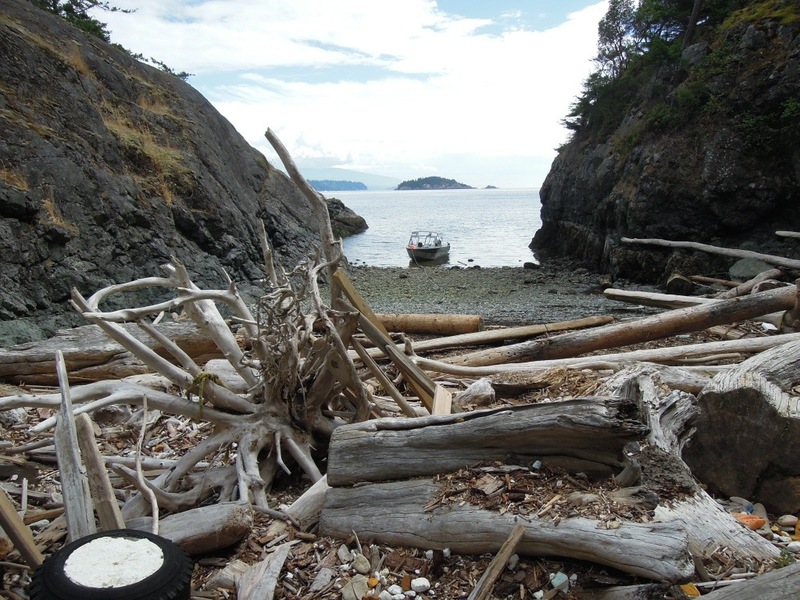 Jack Tolmie Island is 1.5 acres in size and is the south side of the navigational entrance to Secret Cove. It was subdivided along with Tiki Island by the Hoffer family in 1963. Subsequently the Hoffers sold Tiki Island as one parcel and Lot 11 (Jack Tolmie) and the remainder of Jack Tolmie. Jack was the grandson HBC Chief Factor W.F.Tolmie, and a nephew of Premier S.F.Tolmie. Western Eagle Enterprises, Inc. purchased Jack Tolmie Island in 1970 and spent three years working with the Ministry of Transportation and Highways and the SCRD’s Planning Department, designing, planning and negotiating a 84 acre new subdivision on the mainland called the Tideways. Jack Tolmie was encompassed with the development. Tiki Island’s water and power services were connected to the new subdivision’s infrastructure. 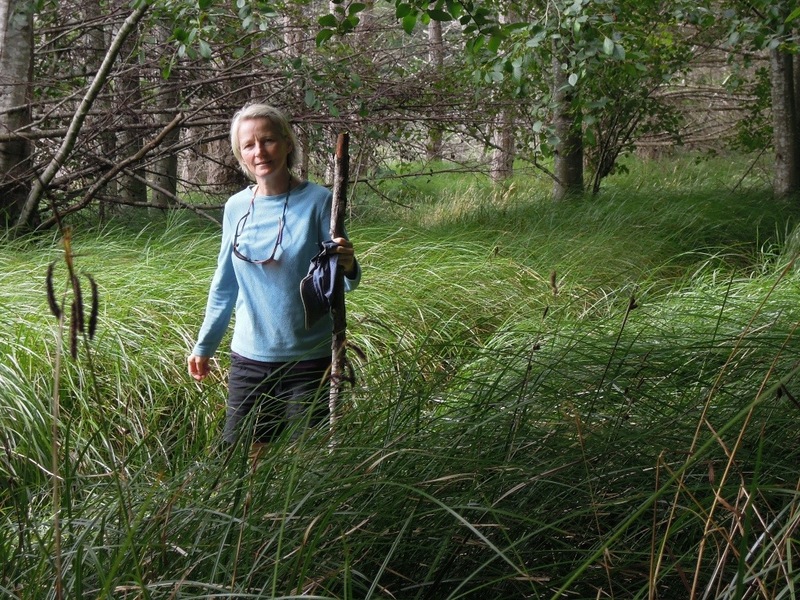 Turnagain Island is approximately 92 acres in size and comprised of three large lots, two of which are serviced by SCRD water and BC Hydro. 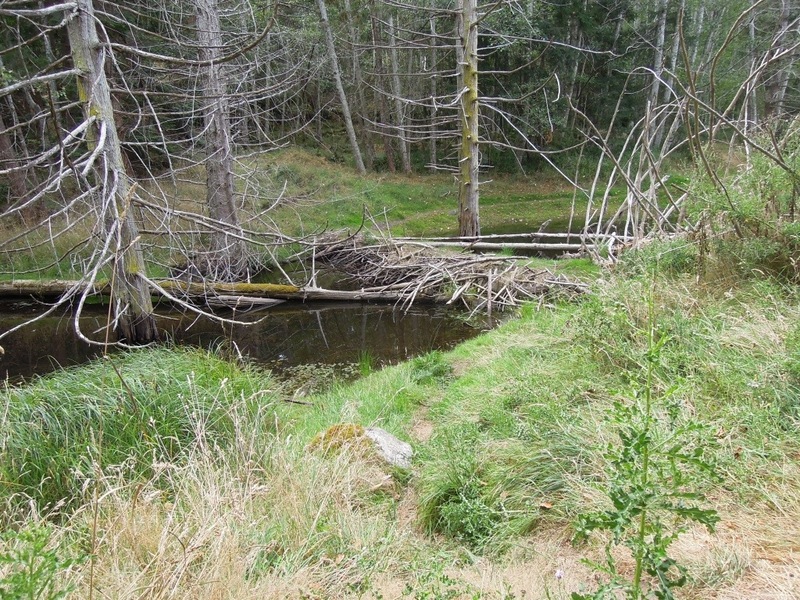 There are two easements registered on title, one for utilities over lands on the mainland and for BC Hydro. Echo Island is a 3 acre lot and has water and power services from the mainland to one single family dwelling. There are multiple easements registered on title over other lands for right-of way for telephone, electrical, water and sewer lines.